Our minor hurling team finished their season very well in their final two games. On Wednesday night last we played Dungarvan in the championship and this game also doubled up for the Kieran Lennon trophy. Our boys played very well from the start and were always in control and came away with a comprehensive victory. On Sunday morning last they travelled to Mount Sion. This game was very one sided where again our boys played very well coming away with victory in the end on a score line of 13-15 to 2-14. However despite these two victories and really hitting form in the last few weeks we missed out on qualification to the knock out stages by a point. We would like to thank all the players and mentors for the time and effort they have put into this championship throughout the year. 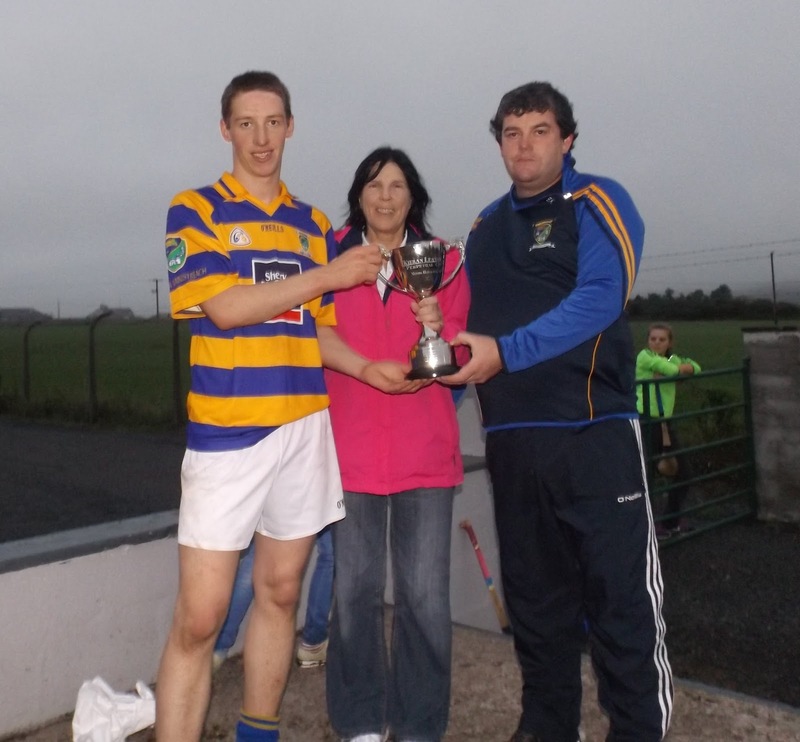 in the County Minor Hurling Championship last week. Also included is Benny Kiely, Selector. The Under16 County Quarter Final has been rescheduled to Friday 16th September in Abbeyside at 6.30 pm. We had a good win against Passage last week in the County Under 14 Hurling Championship. This group were due to play Ballygunner in the quarter final stage on Monday night last. At the time of going to print the result of this match was not available but will be included in next week’s notes. Hard luck to our Under 13 hurling team who just came up short in the Western Under 13 Hurling Final on Sunday morning last at Fraher Field against Naomh Brid. In the end we lost by a point in a very exciting game of hurling. Well done to Kevin Keohan who was awarded the Man of the Match in the final. This evening Wednesday we play Lismore in an Under 11 hurling challenge match. Then on Friday we play St Pats in football in the latest round of the Town and Country League. Both games will go ahead in Abbeyside and there will be reports on both next Wednesday. The count-down is on to the start of our U-8 & U-9 Academy Football League, which kicks off on Saturday 1st October. More details over the coming weeks.